Nova es la comandante de la Nodriza, un crucero Exi que viaja explorando el sistema solar en busca de recursos. Aunque aún es muy joven, es considerada como la mejor candidata para lidear al clan en un futuro. 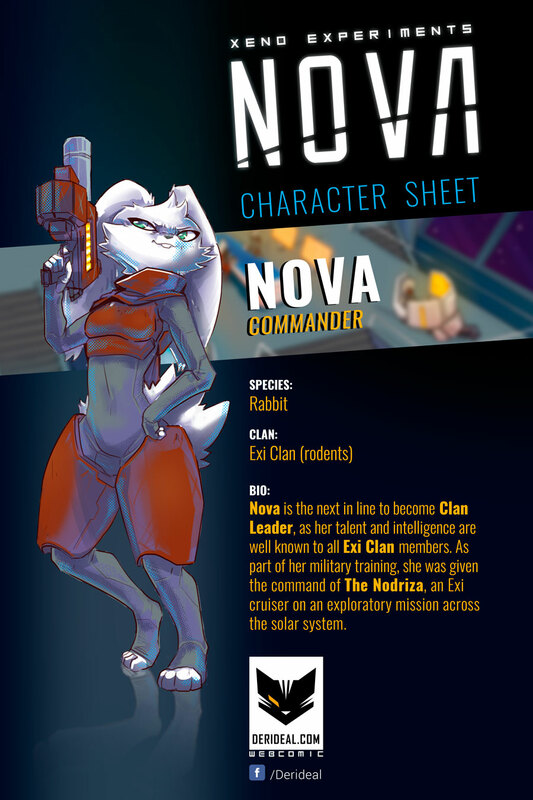 Nova is the commander of the Nodriza, an Exi cruiser traveling the solar system in search of resources. Even if she’s still young, she’s considered like the best candiate for leading the clan in the future. Ruffo character profile is next, be sure to check the site next FRIDAY!